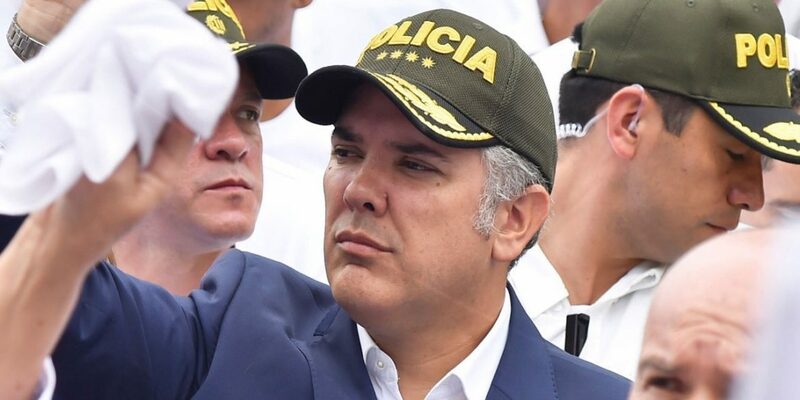 Colombia’s President Ivan Duque wants to convert citizens into police informants, a strategy that allegedly has long incorporated drug traffickers and far-right former paramilitaries. Duque announced to revive the so-called “civilian participation networks” that first came to life in 2002 under Duque’s political patron, former President Alvaro Uribe. According to newspaper El Tiempo, Duque’s security strategy seeks to massively employ citizens, because they, and not the police, “are the first who should safeguard their protection” and promote the rule of law. The participation of citizens is indispensable and at the same time a right and a duty of all Colombians. A community is safer if its members are able to organize, communicate and react to a risk or threat, in coordination with the Military Forces and the National Police, and in a free, autonomous and secure manner. What Duque is ignoring is the fact that previous civilian informant networks have chronically been infiltrated by organized crime organizations and far-right death squads. Last year, the prosecution in Medellin found that one of the bosses of local crime syndicate “Oficina de Envigado” was a member of the local “Network of Allies for Prosperity” and had been given a police radio and access to police intelligence. While the infiltration of organized crime organizations may have been a surprise for Medellin’s prosecution, the US embassy knew about this for more than a decade, according to a diplomatic cable published by Wikileaks. According to the Americans, multiple former commanders of paramilitary organization AUC told officials of the Organization of American States that they had made an agreement with the Uribe administration that their paramilitary informant networks would be incorporated in the civilian participation networks. This was allegedly denied by Andres Peñate, the former director of the DAS, the intelligence agency that was dissolved in 2011 because of its chronic human rights violations, political warfare and close ties to paramilitary death squads. “Still, XXXXXXXXX intel officer XXXXXXXXX told us he has incorporated former members of El Aleman’s Elmer Cardenas Block — with the approval of GOC civilian authorities — into his red de cooperantes,” according to the cable. Whether or how Duque plans to prevent the infiltration of criminals or violent actors in his new informant network is unknown.